Do you really want to progress to a strong yet mobile body, this is the special for you. One month of unlimited Reformer classes, will give you all the flexibility you need to participate in these lovely total body work outs. Packages are valid for 1 month after purchase. Experience with reformer classes is required. 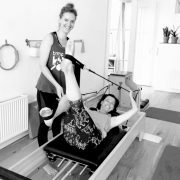 No experience on the reformer? Book a couple of apprentice privates to get to know the machine, the exercises and your own body even better.